Click here to make a generous tax-deductible donation to the Maine Jewish Museum today! 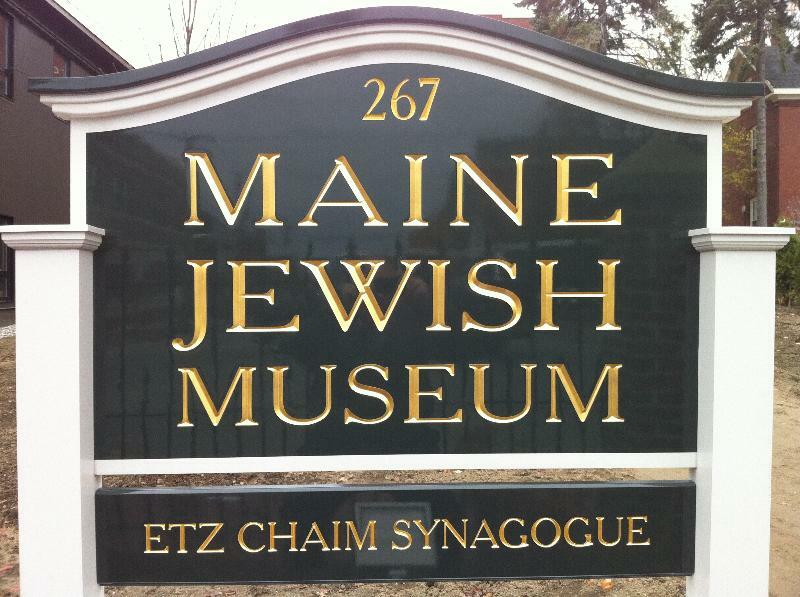 We are grateful to you, our supporters, for helping to bring our dream of a Maine Jewish museum, so close to fruition! The Maine Jewish Museum is a unique institution, a link between past and contemporary Jewish life. We are a vibrant resource in the community for Jews and non-Jews alike. We host tours for school groups and visitors from all over Maine, the United States and the world, highlighting immigration and the rich ethnic diversity of our neighborhood. The Spiegel Art Gallery offers the best of art world luminaries. The Fineberg Family Community Room now accommodates larger audiences for a variety of cultural events and is a community resource where all are welcome. The restored building, which is now completely handicapped accessible (with brand new handicapped accessible restrooms and a beautiful elevator allowing access to all three floors of the museum to everyone), holds a growing history of Maine™s Jewish past. Additionally, the Maine Jewish Museum is a desired location for lectures, live music and live theatre. In the coming year, we plan to finish final renovations of the building (converting our former restroom space into much needed administrative office space for both Etz Chaim Synagogue and the Maine Jewish Museum), continue our mission of fostering understanding and dialogue among diverse groups and expand our museum exhibit presence in a way that is beneficial to all of our visitors while continuing to offer free admission. In the service of accomplishing these goals, we ask, as this year draws to a close, that you contribute at the level that feels right to you. We can’t do it alone. Please help us continue this exciting work by pledging your support today! Our brick walkway, consisting of 4,000 bricks, leads from the street through our peaceful garden to the entrance of the building. 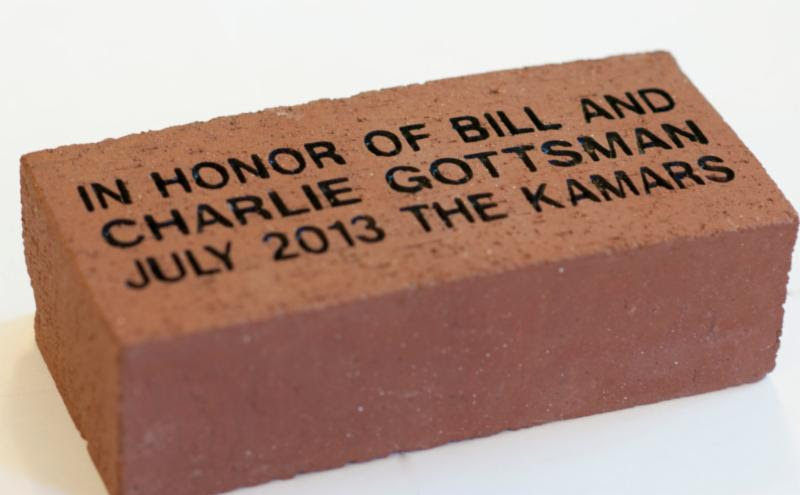 The Maine Jewish Museum invites you to honor or remember special people in your life by inscribing their name(s) on one or more commemorative bricks. Funds raised will help enable the Museum to complete the final phase of renovations and make improvements that will benefit the entire community. Dedicating a brick only costs $118 each! You may order as many bricks as you want at this Special Price. Come to the Museum to talk in person about donating a brick, or fill out the form below to have someone contact you about your donation. Checks can be made out to: Maine Jewish Museum 276 Congress St. Portland, ME 04101. Please call Gary Berenson at 207-329-9854 for more information. Help Preserve the pathway to Maine’s Jewish History, Culture, and Art for future generations by purchasing a brick for our entry walkway. Your gift of one or more engraved bricks will help the museum meet many needs, including maintenance and accessibility of the museum’s historic structure. This is a great way to make a tax-deductible donation to the Museum AND preserve your own legacy as a museum supporter for years to come. What will your message be ?